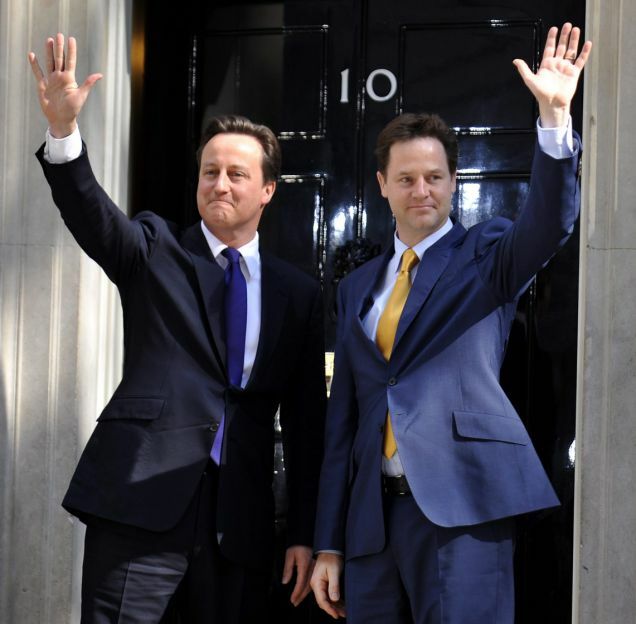 Here’s David Cameron with his boss, the deputy prime minister, Nick Clegg waving on the steps of Number 10 as they begin their task of leading the new coalition government. What do you reckon they might be thinking? The winner of our most recent caption competition, the “Nick Clegg meets Tardis” edition – according to The Voice’s judging panel of one – was this one by Rob.